This course called Diploma in Engineering Mining through distance education. It touches upon the nitty gritty dealing with mines and its science. Graduates from this stream can be used as mining engineers in the industry. They start as trainees and then rise up the ranks depending upon their performance. The future of graduates from this stream is bright what with the privatization of the coal blocks which were initially public. 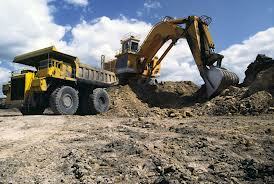 A lot of private companies can now recruit mining engineering graduates. A course in mining engineering ensures one a career in the mines with coal and its allies. This course is for anyone interested in the behavior of coal and the mines. NIMT - Neptune Institute of Management and Technology offer Diploma Program in Mining Engineering through Distance Education mode.